The creators of Cosmic Blobs teamed up with a prototype printing specialist to demonstrate and market 3D models that could be manufactured from custom Cosmic Blobs' user files. 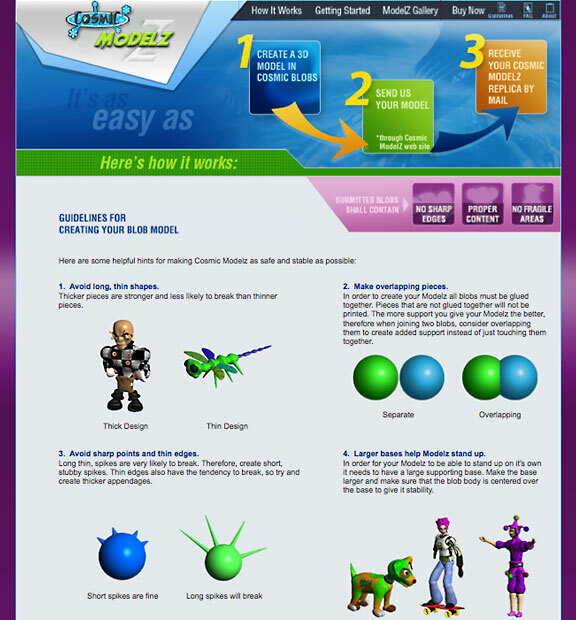 Cosmic Blobs' users could go to CosmicModelz.com and, within 2 clicks, order a resin model uniquely created from their own Cosmic Blobs design file(s). 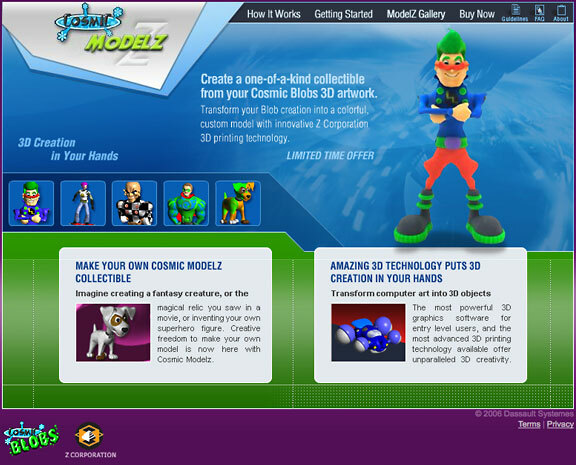 Intense Flash was used in much of the design and development of CosmicModelz.com to demonstrate the finished 3D model product at . 360°. MediaVision Design Studios also created all online and print promotional material including banners, flyers and emailers.